Seeking professional Indian/Southeast Asian actress, 30-60 years old, for lead role in 90-minute staged reading of a new play. Reading will be held on Sunday, 2/12 @ 8pm, at Atwater Village Theater. The staged reading is part of a festival of new plays. 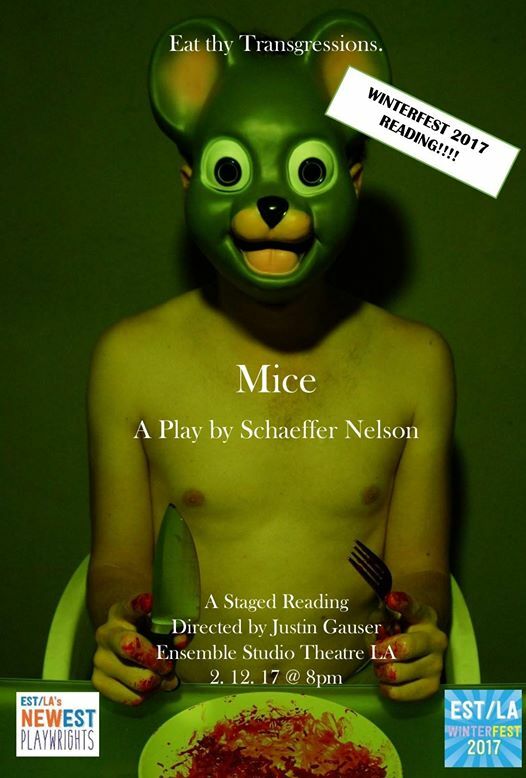 MICE is a horror-thriller play about two middle-aged women attempting to outwit the serial cannibal who has them locked in his basement pantry. 75-90 minutes, one continuous scene. AYUSHI- Indian, 50’s/middle-age, a shrewd survivalist. The wife of a pastor, she has long held doubts about her religious tradition. A humane woman, but willing to play mindgames to survive.